Samsung Electronics America purchased the digital billboard operations of Yesco in May 2015 and rebranded the Yesco’s digital sign operations as Prismview, LLC.. A representative of Samsung Electronics America which owns Prismview LLC. asked Insider to make two corrections to an article published last week on T-Rex sign litigation. First Prismview, not Samsung is the entity which sells digital billboards. Second, Prismview has a license under the T-Rex patents and the agreement between T-Rex and Prismview releases Prismview customers from any claims in connection with Prismview digital signs for infringement of T-Rex patents. Who is T-Rex? T-Rex Property AB was founded in 2003 by Mats Hylin, Mats Dahlgren and Fredrik Persson. The company acquired 12 patents for outdoor advertising products.T-Rex Property AB has been suing outdoor companies who use a computer to control digital signs. T-Rex owns US Patent Number RE39,470 titled Digital Information System and that the patent relates to the use of a computer to remotely control electronic devices including digital signs. Who Has T-Rex Sued? Since 2012 T-Rex Property AB has filed 59 lawsuits relating to patent infringement. T-Rex started out suing outdoor advertising companies which operated large digital billboards. T-Rex has expanded lawsuits to include Cinemark and AMC (which run advertising on movie theater screens) as well as the owners of digital sign networks in shopping malls and health clubs, You can see a list of the lawsuits here. Are You At Risk Of A Lawsuit? 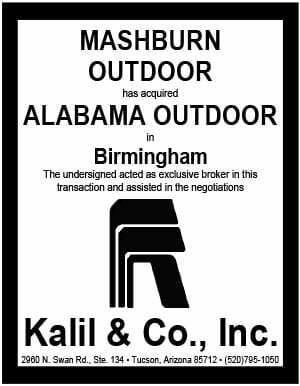 Not if you’ve bought a sign from Watchfire, Daktronics, Formetco or Prismview because those manufacturers have settled with T-Rex so that all users of their products are indemnified from litigation. 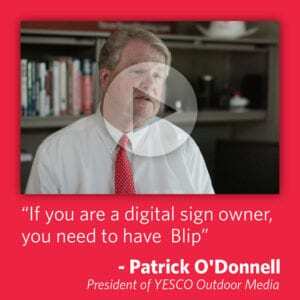 If you use anyone else’s digital signs you may be at risk of a lawsuit. Insider expects T-Rex to continue suing operators who use products from sign companies who haven’t settled. What Should You Do? Nothing if your digital billboard was made by Watchfire, Daktronics or Formetco or Prismview. You are protected from a lawsuit. Otherwise you should talk with your sign rep to understand what your manufacturer will do to protect you if you get sued. Insider wouldn’t buy a digital billboard from a manufacturer which hadn’t settled with T-Rex unless he was indemnified by the manufacturer from all costs of defending a lawsuit. Insider is interested in hearing from any other digital billboard manufacturers which have signed license agreements with T-Rex.